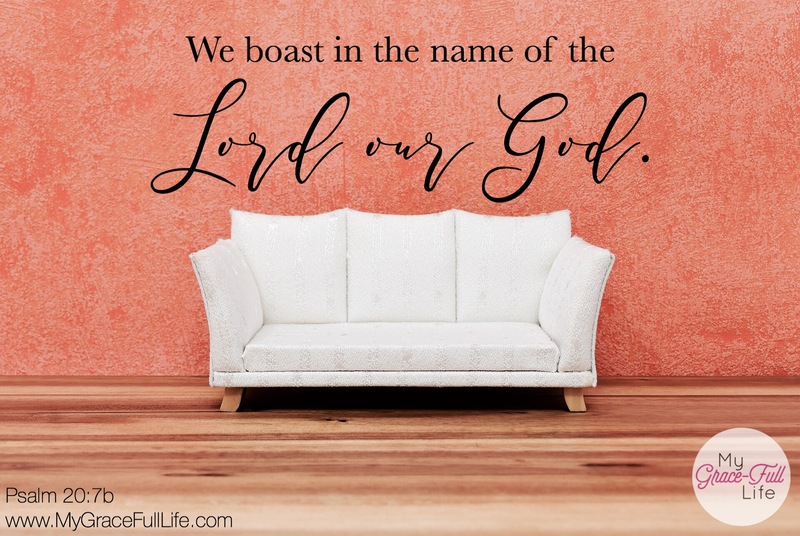 It takes our typical idea of boasting in the name of the Lord and polishes it up. In truth, both statements are correct, but the latter is humbling. It’s not about bragging, which looks down on others. It’s about reveling in the goodness of God and looking up towards Him. Moreover, it invites the listener to join us in our awe of His greatness. We can brag about our things, or we can boast about the generous God we serve Who gave us all we have. Our shiny new car will eventually get scratched and dinged, but our God’s glory is eternal. It’s so easy to pray and read the Bible, then be on our way. But what if we remember to include God in every moment and shift our day-to-day to His grace and goodness. God’s timing for this verse this morning is amazing; I was in a meeting yesterday at work, and it suddenly hit me – where is God’s place in this task? I felt the Holy Spirit challenge me to invite Him to be a part of what I was doing. Today, I want to be sure to keep Him in the middle of whatever I work on, and not focus on what I manage to do, but stay humble and remember – He works through me. He gave me talents; I didn’t make them. He chose to give each of unique abilities, and while we may hone our skills, we can’t boast about them. We can boast about the generous God we serve, who granted us the abilities we need and supplied us with the unique talents we bring to the table. Today, as you pray, thank God for being such an incredible God! Ask Him to be a part of all you do so you can boast in all He does through you! Let Him know everything is to His credit, not ours.